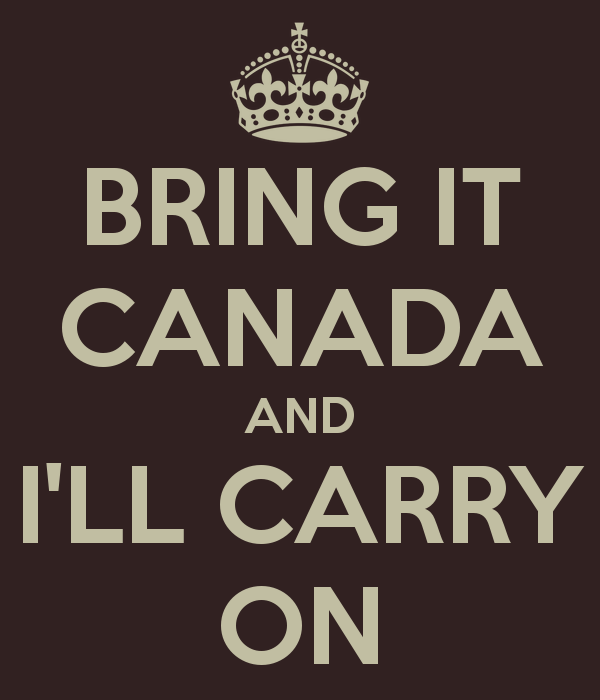 Dear brothers and sisters in faith, I am giving Canada a second shot. I may still hated its weather, cursed the cheapness of its food (that makes me fat), and its overall geographical distance from my love but I am coming back to it. I know it is sudden and some of my friends say that I am pregnant, I can attest to you that I am not (see next post : Boracay). Also, my boyfriend and I have not broken up, we are still happily together and strong (see also next post : Boracay). But the thing is, this is I coming back to the country with my own decision, without any circumstances forcing me to do so. It is my OWN and FREE WILL unlike before when I was still younger. I did not have any options then. This time around, I chose to be in the state. So IF you see me complaining on twitter or Facebook about the country, I had wanted it so I deserve it. When I first came to Toronto, I just hated it without really giving it any chances. It was like a classmate I hated in High School just because. That was why even if I had new things I was only able to do in Toronto, I was not able to appreciate it. Not even a bit. I was simply ungrateful and stubborn. But now after living in Manila for awhile, I understood what everybody else was saying about how much people would kill just to be in the country. I was too blessed but was too bind to see it. But now I already do. SO PLEASE STOP JUDGING ME and JUST LET ME BE. This is my life anyway. TORONTO, I AM COMING BACK!!!!! This entry was posted in Canada, Places and tagged Canada, edward estandarte, ericka mercado, filipino, Filipino in Toronto, LDR na naman, Manila to Toronto, Second Chances, toronto. Bookmark the permalink.